Sunset Granite is happy to provide every customer with a free consultation and estimate. Tell us about your home improvement project and we’ll help you find the perfect countertop for your kitchen, bathroom or any room needing a high quality, expertly installed countertop. We use only the highest-grade materials and we’ll go over the numerous options we can offer during your free estimate consultation. 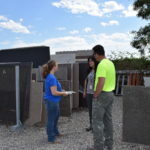 Our friendly and experienced staff will meet you during business hours and answer any questions that you might have regarding granite, marble and quartz countertops. 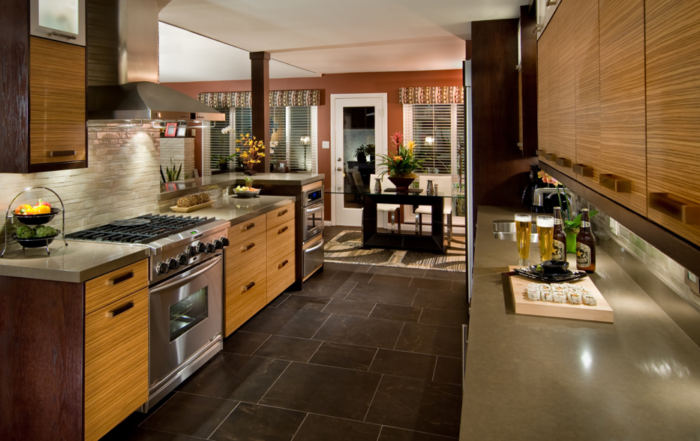 We install kitchen and bathroom countertops, with numerous options for materials, sizes and shapes. We also install high quality sinks and faucets to complete your kitchen and bathroom counters. 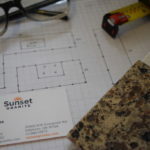 Whether you’re looking for a top of the line countertop with a robust budget or you’re looking to get the best possible economical option within a strict budget, Sunset Granite can present options for any style and price point. Regardless of the materials you select or the overall cost, Sunset Granite offers the very best workmanship in every installation we do. 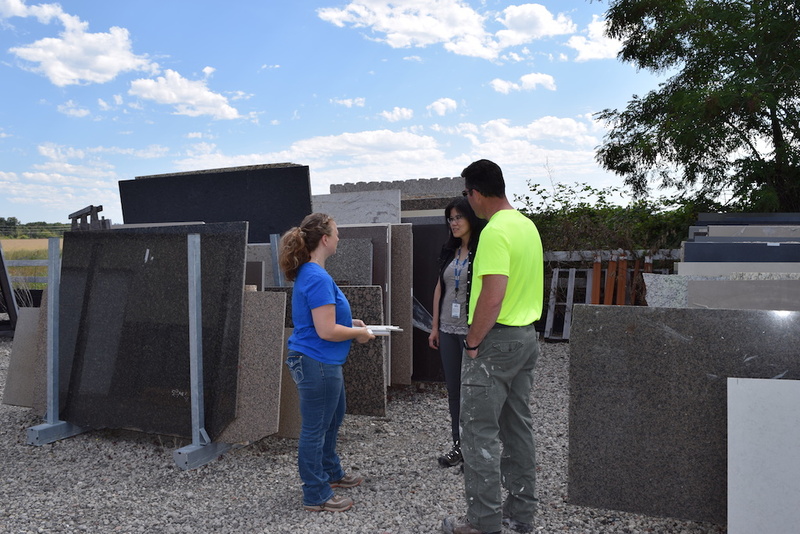 We’ll gladly provide samples of our professional installations so you can have confidence that Sunset Granite is the best fit for your home improvement project. 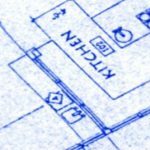 We encourage every customer to bring a sketch with dimensions to help us give you the most accurate and detailed estimate on the spot. 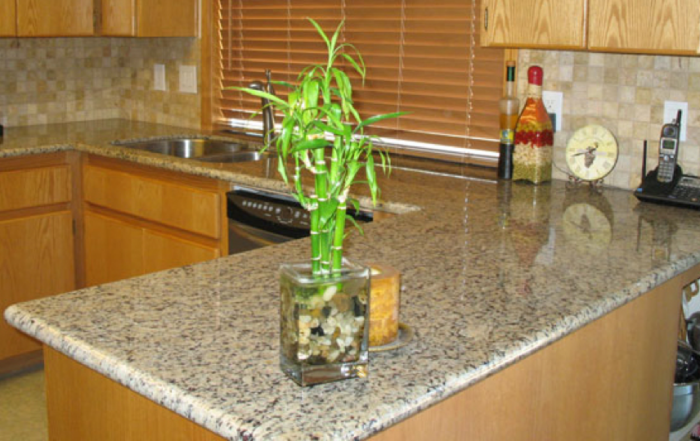 Sunset Granite is conveniently located in Hillsboro, OR. We serve the entire Portland Oregon metro area including Portland, Beaverton, Hillsboro, Gresham, Tigard, Lake Oswego, West Linn, Aloha, Tualatin, Forest Grove, Cornelius, Sherwood, Newberg, North Plains, Banks and beyond! Please provide us with the following contact information along with some details about your home improvement project and a member of the Sunset Granite team will reach out to you promptly. We try to contact every customer within 24 hours. We also invite you to call us directly to discuss your project. We’ll get your information and all the details over the phone and begin the estimate and consultation process on the spot. 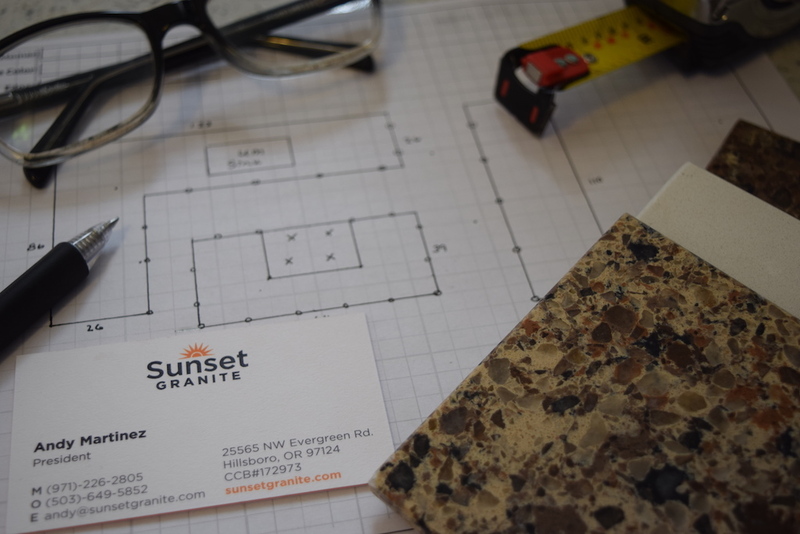 You may also feel free stop into our Hillsboro office to speak to the Sunset Granite team face to face. Our estimate and consultation service is absolutely free and no obligation to you. If you have an estimate or estimates from another provider we invite you to share it with us. If we can match or beat the price, we will! Reach out to the friendly and professional team at Sunset Granite. We’re ready to help beautify your home with the very best countertops, sinks and faucets – the only thing that matches the quality of our work is our excellent customer service!